Is U.S. Sen. Tom Coburn really a shooter-in-waiting racist who wants to do away with Medicare and Medicaid because, as he argues, the federal programs are unconstitutional? That’s the way Oklahoma’s ultra-conservative junior senator has been depicted in the media in recent days after comments he made about packing heat on the Senate floor, President Barack Obama and social programs for the elderly. Here’s my take on the latest Coburnspeak, which is often lauded by the local corporate media, primarily the editorial page of The Oklahoman, as both blunt and brilliant. (1) The gun comment is inappropriate even though Coburn insisted he was joking and that people should just “get over it.” We can concede that Coburn is not likely to go on a mass killing spree on the Senate floor, but the use of violent language condones the use of violent language. What if a high school student had made a similar comment about the need to pack heat at an assembly or in a classroom? Wouldn’t that be just as appropriate as Coburn’s comment as long as the student later said she/he was joking? Is it ever okay for a public figure to threaten armed violence against a particular group of innocent American citizens? Doesn’t that encourage other people to make similar remarks or jokes? 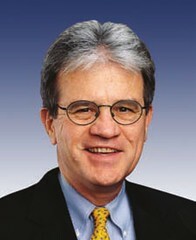 (2) I agree that Coburn’s remarks about Obama are at least borderline racist. Obama’s mother received food assistance for a brief period when the president was young, and Obama took advantage of student loans to go to college. I’m unsure how that translates into the intent “to create dependency.” As Walsh argues, ” . . . it’s clear the Oklahoma doctor can’t see Obama for who he is: a bright, successful middle-class black man who grew up in an economically stable extended family, not a poor black kid from a welfare-plagued ghetto.” Coburn is relying on racial stereotypes to win over his Oklahoma constituents, and it’s ugly and self-perpetuating. I have long argued that the anti-Obama hysteria here is fueled, in part, by racism. Coburn’s remarks help make my point. (3) Coburn’s idea that we should just apparently ditch Medicare and Medicaid because they’re unconstitutional is ludicrous. The constitution, as it was pointed out, clearly argues that the general welfare of the nation is an important founding value. Coburn also suggests that families should take care of their elderly relatives, but everyone knows that can’t always happen in our contemporary culture. What about dysfunctional families? What if an elderly person outlives her children? What if an elderly person has dementia and needs 24-hour care, and her child doesn’t have the financial means to pay for it? I could go on here. The point is Coburn’s rhetoric shows just how out of touch he is with modern society. Unfortunately, Coburn’s gun-loving, racist anti-government rhetoric only increases his popularity here. That’s why he talks the way he does.